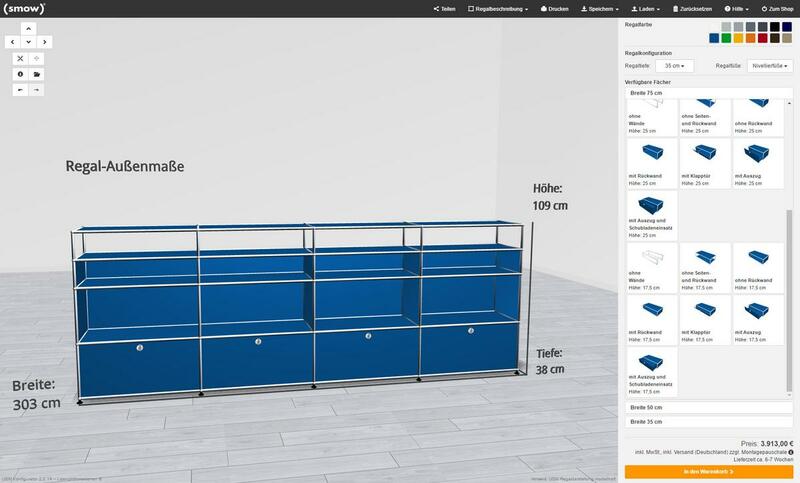 Configure your own USM unit to suit your personal needs and requirements. 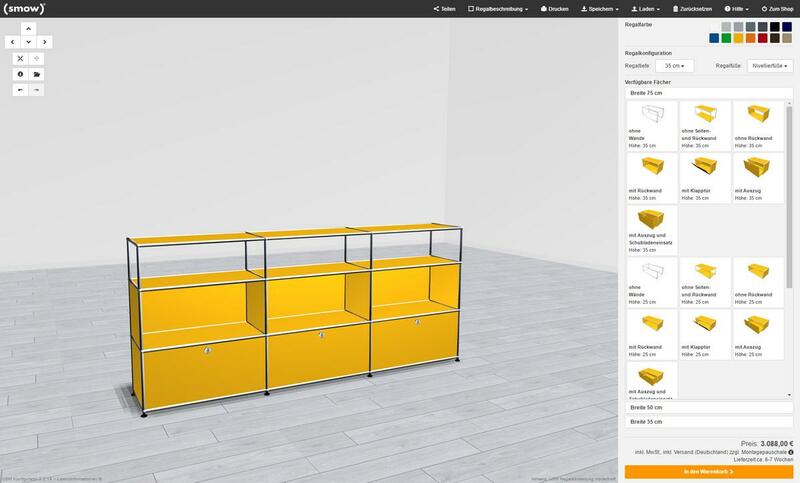 If you have questions regarding the configurator, please contact our USM customer service: +49 341 2222 88 22. 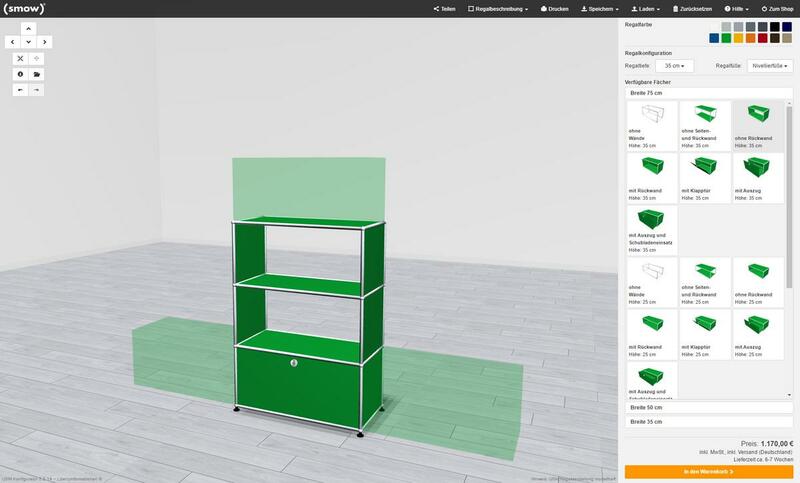 With the smow USM Configurator you can plan your individual USM Haller shelf to suit your personal needs. 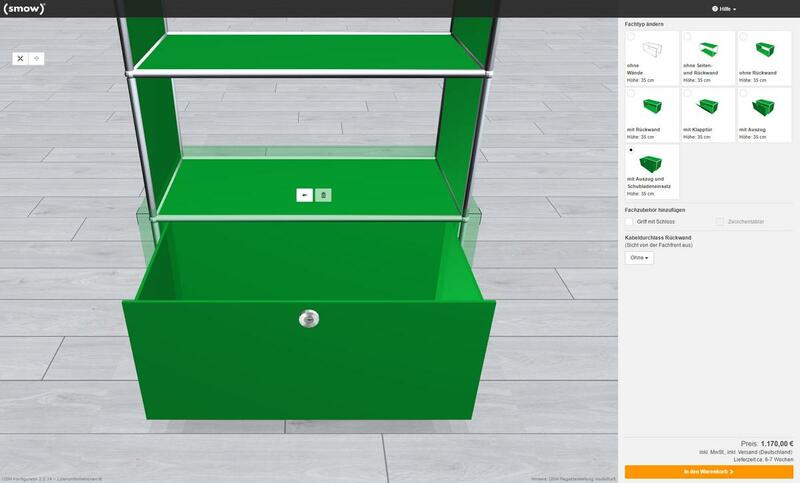 Choose between different element depths and heights and from a range of accessories and order your personal USM unit directly through the configurator. 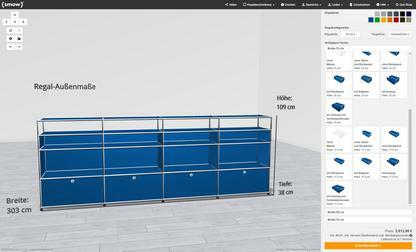 Price and availability will be shown directly in the configurator.